Spa party favors as super cute! 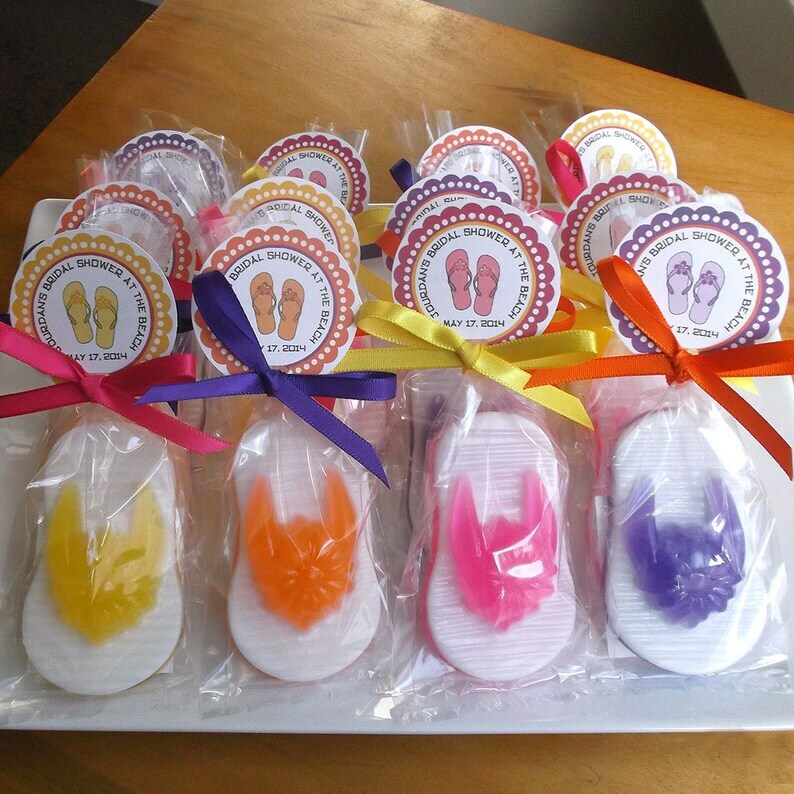 Flip flop soap favors are unique, will add to your spa party decorations, and are sure to be a hit at your spa or pool party. Includes favor tags. Soap color - Shown in pink, tangerine, yellow, purple, and blue.